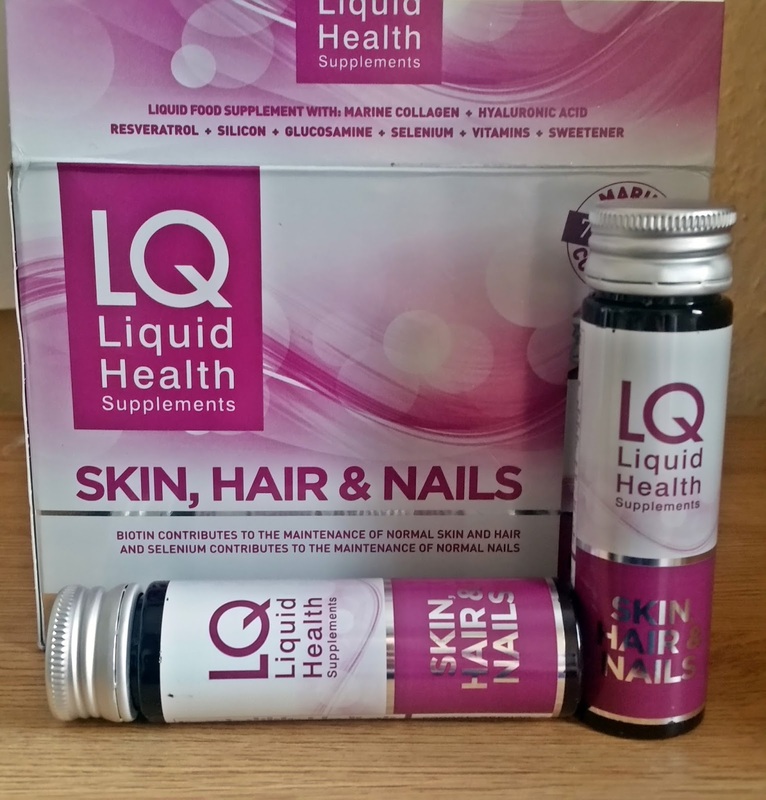 I was sent the LQ Liquid Health supplements skin, hair & nails and couldn't wait to try these. What makes these different is they are handy liquid supplements that make taking vitamins really easy, especially if you don't or cant take the pill form. The handy little shots are also really compact to carry around, so you can just pop one in your bag and enjoy it anytime of the day, if your in a rush in the morning. Vitamin C, which contributes to normal collagen formation and helps the protection of cells from oxidative stress. Selenium, contributes to the normal maintenance of hair and nails. Biotin (vitamin B7), as the same as Selenium contributes to the normal maintenance of hair and nails. Vitamin E, contributes to the protection of cells from oxidative stress. 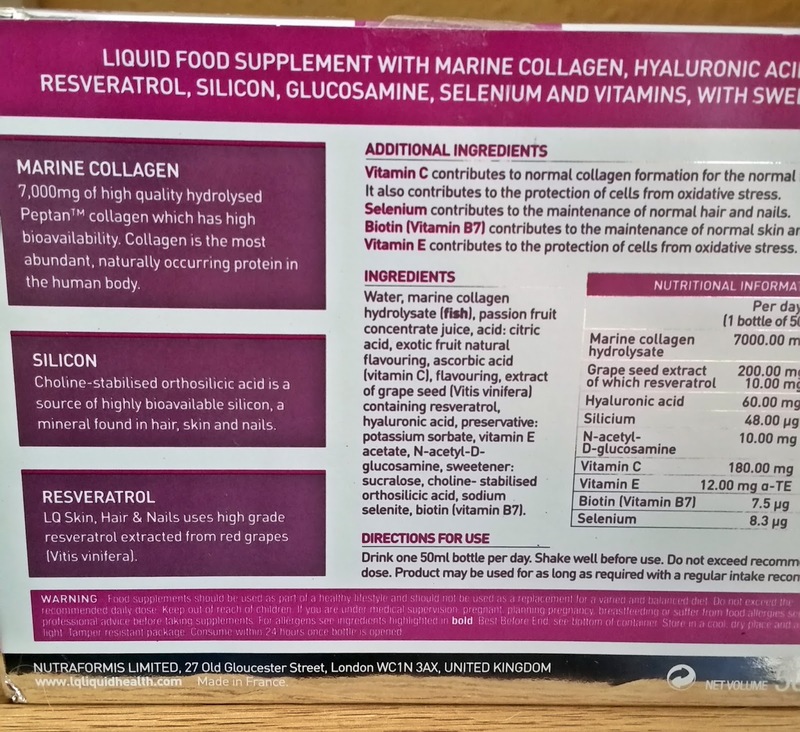 Marine Collagen: 7,000mg of high quality hydrolysed peptan collagen which has high bioavailability. Collagen is the most abundant, naturally occurring protein in the human body. Silicon: Choline-stabilised orthosilicic acid is a source of highly bioavailable silicon, a mineral found in hair, skin and nails. Resveratrol: LQSkin, Hair and Nails uses high grade resveratrol extracted from red grapes (Vitis viniferal). Drink one 50ml bottle per day, shake well before use. Product may be used for as long as required with a regular intake recommended. The supplement drinks are flavoured passion fruit, i was a bit nervous to find out what or if they tasted anything like it? In fact these taste like concentrated juice before you have diluted it. Quite a strong but nice taste and before you know it, you have drank your first supplement drink. I experienced no after taste and definitely no yucky feeling or the thought of what have i just drank? 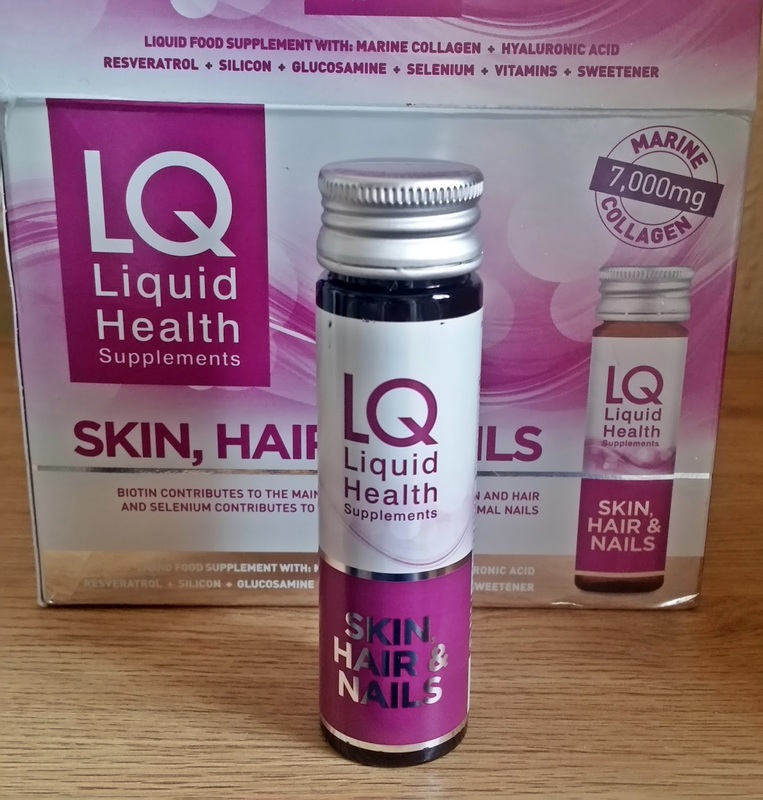 The LQ Liquid can be used for as long as required with a regular intake recommended. It is also suggested to take daily for at least one month and for two/three months for best results. I really like these and think they are an easy way to introduce high quality supplements into your daily life. Beauty starts from within and with these handy shots, its a good place to start! 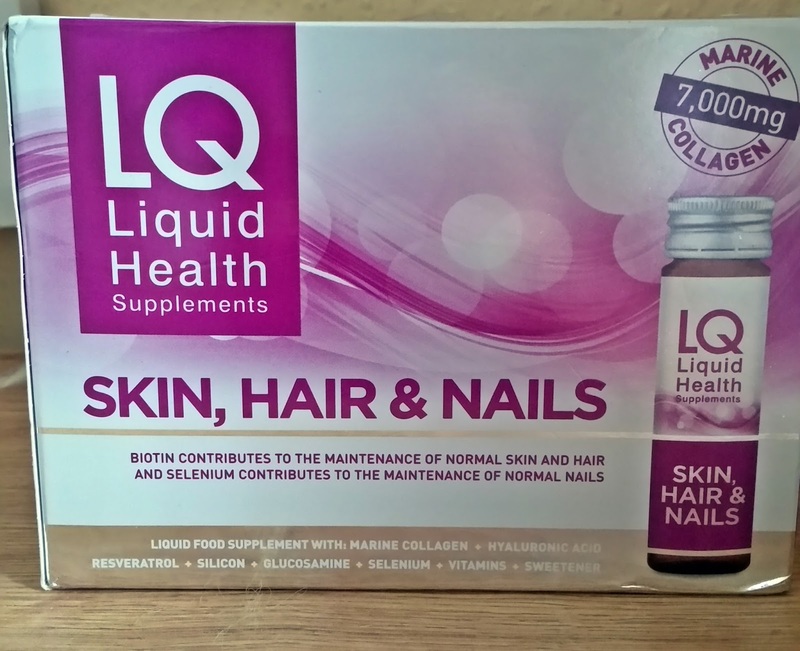 Available at Holland and Barrett and also at LQ liquid health supplements website. X Neil.